A stunning sleeper of the vintage, this beautiful, already irresistible, plum/garnet-colored 2008 is a wine to purchase by the case. It possesses a dense plum/purple color, a glorious perfume of Christmas fruitcake, cedarwood, black currants, jammy cherries and licorice, medium to full body and a silky personality. It will provide both a hedonistic and intellectual turn-on over the next 10-15 years. Tasted ex-château and single blind in Southwold. The Château Gloria 2008 has a fresh, well-defined bouquet with tobacco and graphite notes. It is very clean with well-integrated and judicious use of oak. The palate is medium-bodied with a rounded black cherry and spice-tinged entry leading to a plush, well-defined finish. 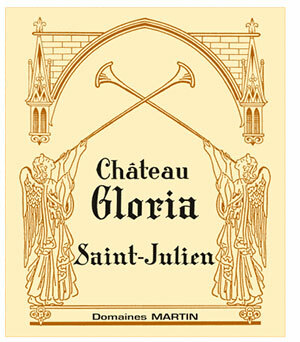 This is a well-made Saint Julien that should age well over 10-15 years. Tasted January 2012. En primeur barrel sample. This is reticent on the nose: earthy, introverted with touches of sandalwood and cedar. The palate is medium-bodied, good weight and acidity, nicely balanced and focused with fresh red-berried fruit, cranberry and red cherry. Nicely poised on the finish, the kind of wine that leaves a smile in your face. Very fine. Tasted April 2009.